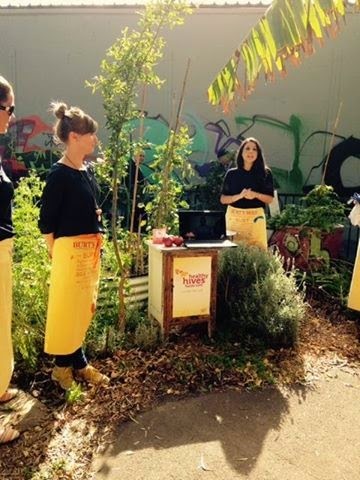 Our wonderful sponsor Burt's Bees celebrated Global Culture Day in our garden. Jon did an amazing job organising the event, as well as running workshops with Leesa. Lydia and Tamara also did a great job helping out too! Burt's Bees Brand Manager, Vanessa Farrugia, also announced their intention to sponsor the to sponsor the garden for another five years which is wonderful news! The group was split into two teams, one planted herbs to create an apothecary bed, the other created an insect hotel to attract bees and wasps to the garden.